Classical music: Will electronic pianos eventually replace Steinway concert grands? Period pianist Malcolm Bilson thinks so. What does Jenny Lin think? Acclaimed period pianist Malcolm Bilson (below) was in town this past week for a residency at the University of Wisconsin School of Music. Known these days primarily as a fortepianist, Bilson (below) performed a beautiful and illuminating recital Sunday night of sonatas by Haydn, Mozart and Beethoven that was a model of both clarity and expressiveness. An outstanding scholar, on Monday night Bilson also delivered a lecture based on his DVDs about reading scores and music notation, especially in the Classical era. But it was the master class for University of Wisconsin piano students that brought out Bilson, the seasoned and incisive teacher. 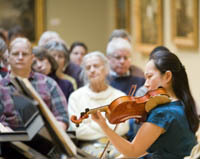 He listened to students perform the opening movements of sonatas by Mozart (K. 576) and Beethoven (Opp. 101 and 110) and urged them especially to capture a sense of spontaneity and improvisation. He also stressed the importance of studying the score one hour for each hour you spend practicing at the keyboard, something the masters Chopin and Theodore Leschetizsky among others, also prescribed. 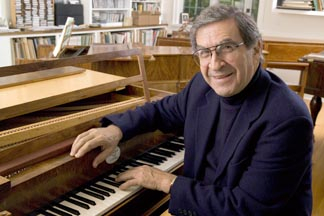 Bilson gave the students the choice of playing on a Steinway concert grand or his own fortepiano (below), so they could compare the action, sound and articulation. One preferred the older fortepiano, two the newer concert grand. He even predicted that one day the Steinway concert grand may also become a “period piano” as electronic digital pianos gradually replace acoustic ones. Well, you might want to remember that keyboard titan Martha Argerich often practices on an electronic keyboard. 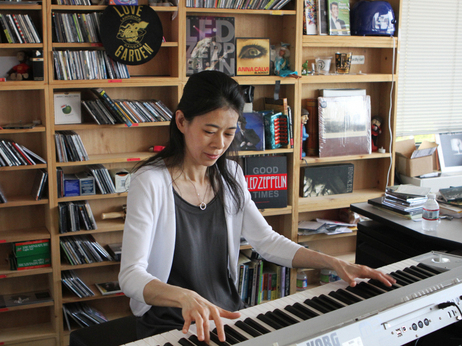 You might also want to read and listen to an NPR story about and performance by pianist Jenny Lin (below). But then she turned around and recorded some of those same works, along with music by Gershwin, on an electronic piano, a Korg M3 (below). The results on the electronic keyboard are interesting, and perhaps better than you might expect — especially if, like The Ear, you relish the touch and sound of the modern acoustic grand piano. Read and listen for yourself. Will the electronic piano some day replace the acoustic piano the same way the Steinway concert grand replaced Beethoven’s Broadwood fortepiano? Classical music: The tempo of the concert season picks up at the University of Wisconsin-Madison School of Music this weekend with guest eclectic flutists and the UW Symphony Orchestra performing Bernstein’s “Candide” Overture, Richard Strauss’ “Till Eulenspiegel’s Merry Pranks” and Dvorak’s “New World” Symphony. Each academic year, some 300-plus events take place at the University of Wisconsin School of Music. Most are FREE and OPEN TO THE PUBLIC. The events include the Faculty Concert Series (always a great bet), the Guest Artist Series, (also an excellent bet), master classes, lectures and of course many, many student performances including operas, choral works, chamber music, symphonic repertoire and solo works. Officially, the UW season started on Labor Day with the 35th annual Karp Family Concert. Then, over this past week, came acclaimed guest fortepianist Malcolm Bilson. But it takes time for the students to rehearse and learn music to perform. So it is this first weekend in October that sees a real uptick in the tempo – an accelerando, if you will – in the UW concert season. On Saturday night, Oct. 1 at 7 p.m. in Morphy Hall, Flutronix will play a FREE concert that is open to the public. 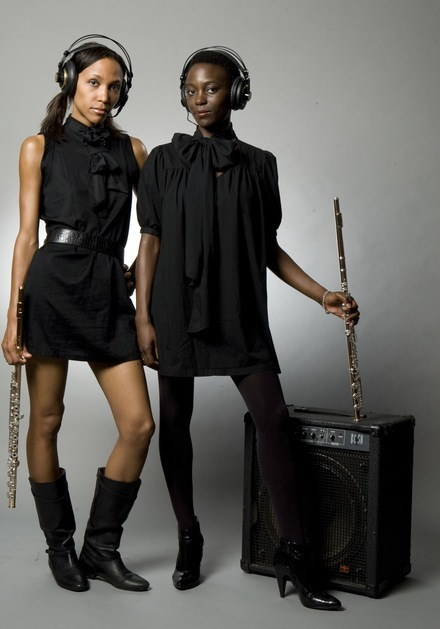 Nathalie Joachim and Allison Loggins-Hull (below) are Flutronix, a critically acclaimed pair of fresh and eclectic flutists who are paving the way from their classical roots to the future of music. Performing the works of notable pioneers of new music alongside their own creations, Flutronix displays an innovative combination of flute and mixed media elements. Their original compositions, described by NewMusicBox as “equally indebted to and comfortable in several musical lineages,” navigate daring forms of popular, experimental, and contemporary classical music while implementing electronics and digital effects. The duo pays tribute to groundbreaking work by exposing audiences to composers who have contributed to new bodies of literature that expand the language of the flute. This concert is sponsored by Arts Enterprise Student Association. Then on Sunday, Oct. 2 at 2 p.m. in Mills Hall, the UW Symphony Orchestra will perform a FREE public concert. 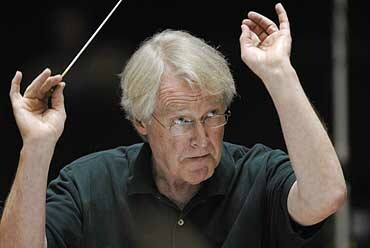 It will be conducted by UW director of orchestras James Smith (below) and graduate assistant conductor David Grandis. The program offers three popular masterpieces: “Overture to ‘Candide’” by Leonard Bernstein; “Till Eulenspiegel’s Merry Pranks” by Richard Strauss; and “Symphony No. 9” (“From the New World”) by Antonin Dvorak. The price is right, the music is great and the afternoon performance time is perfect to make this an event not only for adults but especially for parents who want to introduce their children to classical music. And trust The Ear — the UW Symphony Orchestra, like the UW Chamber Orchestra, is outstanding. Pass the word. They deserve a full house. 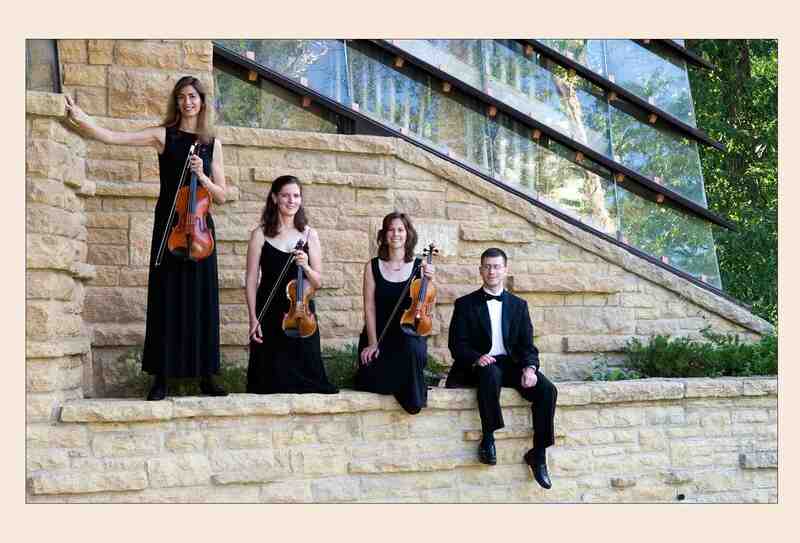 Classical music: The Ancora String Quartet kicks off its new season Saturday night with Beethoven and Grieg, and matches The Musician with The Muse. 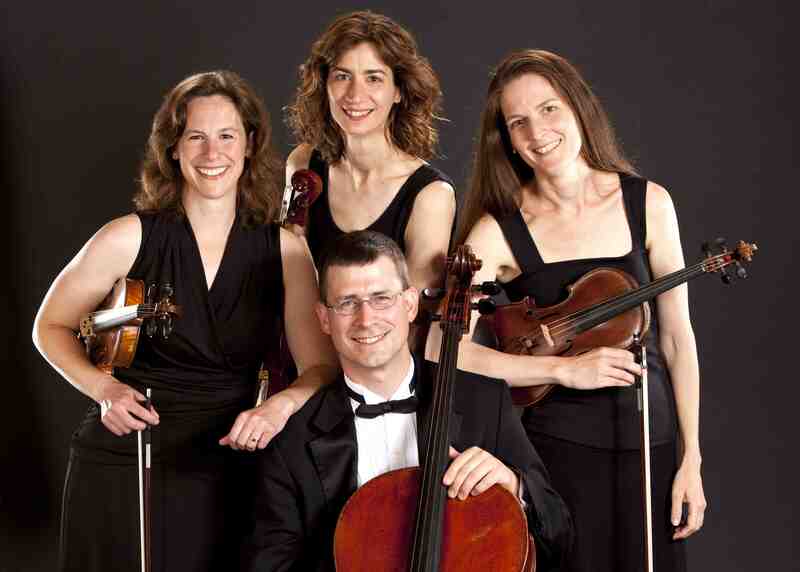 This Saturday night at 7:30 at the First Unitarian Society, 900 University Bay Drive, the Ancora String Quartet (below) will launch its new season. And the Ancora’s 2011-12 season has exactly the kind of unity or thematic purpose that I like to see in programming: the idea is to explore the relationship between composers and the people who helped make their music possible – including a connection to the UW-Madison’s Pro Arte Quartet, which is celebrating its own centennial this season. 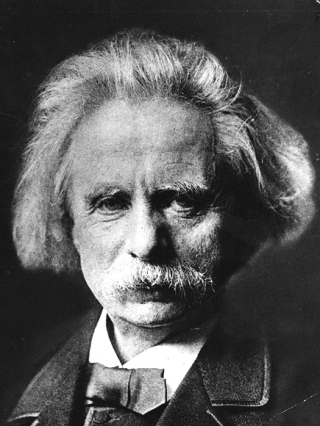 Works to be performed this weekend are Edvard Grieg’s much neglected String Quartet in G minor, Op. 27, and Beethoven’s String Quartet No. 7 in F Major, Op. 59, No. 1, the first of Beethoven’s three mid-career “Rasumovsky” quartets. Tickets at the door: $15 general, $12 seniors/students/FUS members, $6 children under 12. A post-concert champagne reception is free. 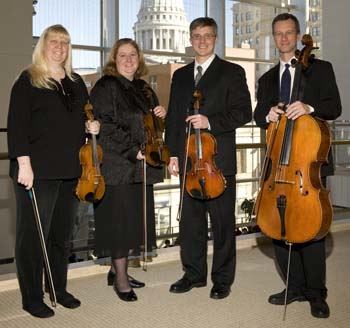 Ever since it was founded in 200o, the Ancora Quartet — made up of violinist Leanne Kelso League and Robin Ryan (above, far left and far right), violist Marika Fischer Hoyt and cellist Benjamin Whitcomb — has been an increasingly respected player in Madison’s ever-expanding chamber music scene, and has garnered glowing reviews from a variety of critics, including The Ear. “What inspires great composers to write great string quartets? Is it divine revelation, human creation, peer collaboration, or a combination of all three? The ASQ will explore these questions in our 2011-2012 Recital Season, entitled The Musician and His Muse. “In the case of Grieg, the 1878 piece is dedicated to Robert Heckmann, who consulted extensively with Grieg over its composition, and whose quartet premiered the piece. Heckmann was one of Grieg’s closest friends. 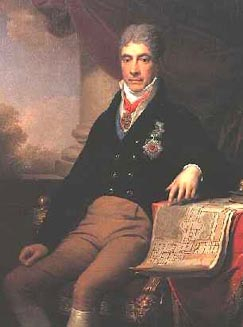 “As for the Beethoven, the piece was commissioned by and dedicated to Count Razumovsky (below), patron of Schuppanzigh’s string quartet, which premiered all of Beethoven’s string quartets. 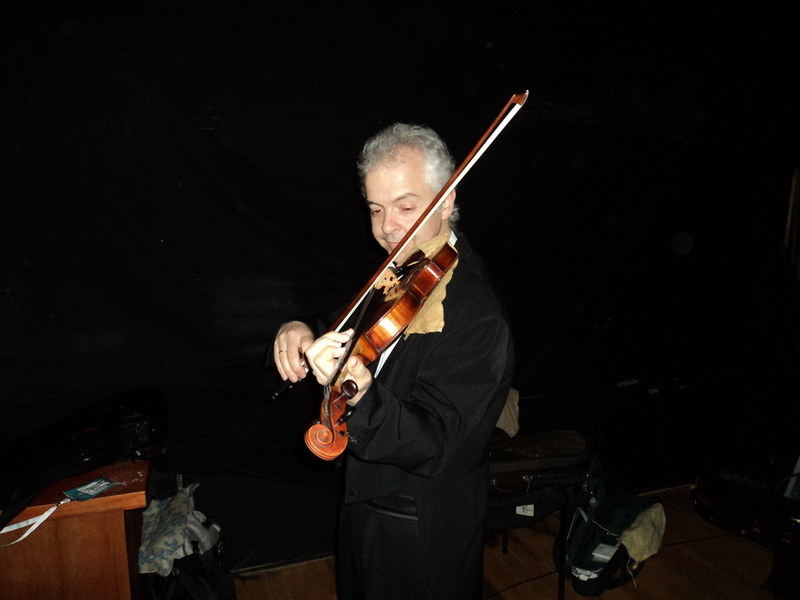 Schuppanzigh was Beethoven’s violin teacher and lifelong friend. The Ancora Quartet will pursue that same theme this spring on Saturday, May 19, at 7:30 p.m. and on Sunday, May 20, at 2:30 p.m. (Ticket prices are the same.) That’s when they will perform Prokofiev’s String Quartet No.1 and, teaming up with the Madison Symphony Orchestra’s Rhapsodie Quartet (below, in a photo by Greg Anderson), Mendelssohn’s glorious Octet in E-Flat Major, Op. 20. About the Prokofiev: The quartet was commissioned by the U.S. Library of Congress, and given its premiere there by the Brosa String Quartet in 1931. 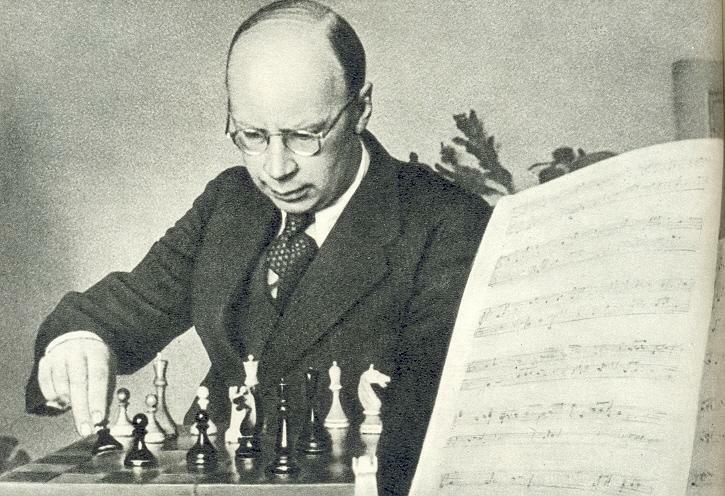 Prokofiev (below top) consulted with Antonio Brosa about the tempo of each movement. That’s the same Antonio Brosa (below) who went on to play first violin in the Pro Arte String Quartet at the UW-Madison, which starts celebrating its centennial celebration on Oct. 22. About the Mendelssohn Octet: It is dedicated to Eduard Rietz. Rietz was Mendelssohn’s violin teacher and lifelong friend. He played first violin in the premieres of many of Mendelssohn’s works. 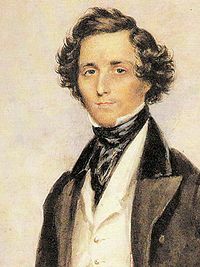 Mendelssohn (below) dedicated many of his solo violin compositions to Rietz. 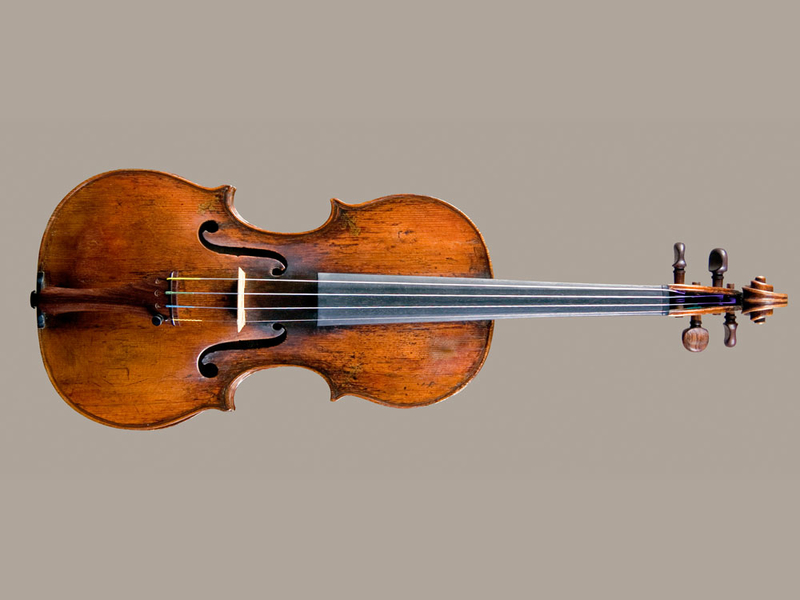 The String Octet was a present for Rietz’ 23rd birthday in 1825. 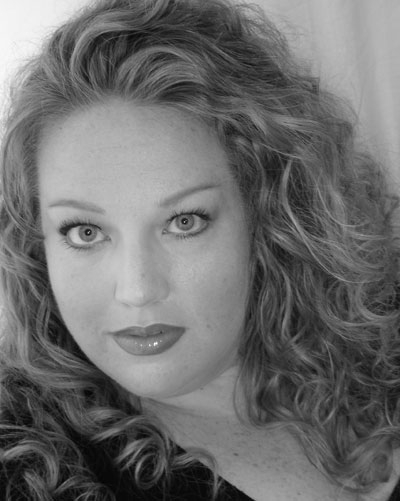 Classical music Q&A: Opera and the circus have a lot in common, says Melanie Cain of Madison’s Fresco Opera Theatre. What do opera and the circus have in common? Quite a lot, says Melanie Cain of Madison’s Fresco Opera Theatre. And the ensemble will put those parallels on display during three performance this coming weekend of “Big Top Opera.” Shows are on Friday night at 7:30 p.m. and then again on Saturday afternoon at 2:30 p.m. and Saturday night at 7:30 p.m. in the Promenade Hall of the Overture Center. A press release reads: “Big Top Opera, a spectacular show unlike anything you have seen before, or are likely see outside of our ring. “A combination of fine music and circus feats, presenting such acts as Sizzle Cisler the Fire Breather, Princess Charming the Half-Man/Half-Woman, the Strong Man – Ben the Barbarian, The Inseparable Suramese Twins, Amina the Airwalker, Baba the Bearded Lady, Leonora the Tamer of Beasts, and THE WHEEL OF DEATH! Fresco Opera Theatre’s artistic director and co-founder, soprano Melanie Cain (below), who has also worked with University Opera, recently gave an e-mail interview to The Ear to talk about the upcoming production, the history of Fresco Opera Theatre and the common links between the opera and the circus. Can you tell us briefly about the genesis, history and future plans of Fresco Opera Theatre? Do similar companies exist? Where did you get the idea? Fresco Opera Theatre started in 2009. We felt that opera was missing a huge piece of the community and we wanted to make it more accessible by presenting the genre in a fresh way. Fresco Opera Theatre emerged, proudly offering originally staged and exciting operatic productions, while staying true to the traditional music of opera. Our mission is to interest a whole new generation of opera fan while offering an exciting alternative to current opera enthusiasts. In March of 2010, we had our first production, which was “Dueling Divas.” We based this production on a battle between opera singers. It included 8 singers and 4 battles. The audience chose the winner of each category through an applause meter. In the end the audience had the unique experience of choosing the champion diva. Nothing had been done like this before and the audience was engaged, excited, and ready to come to future events. We gained a great deal of support from the community and had a nearly sold out performance. Our follow-up, “Ding Dong The Diva’s Dead,” staged opera arias to clichéd horror movie scenes. This juxtaposition worked well with the audience, again proving to be a success both commercially and critically. There are other opera companies throughout the country offering a unique perspective to the genre, however, Fresco has brought something rather new to the table. 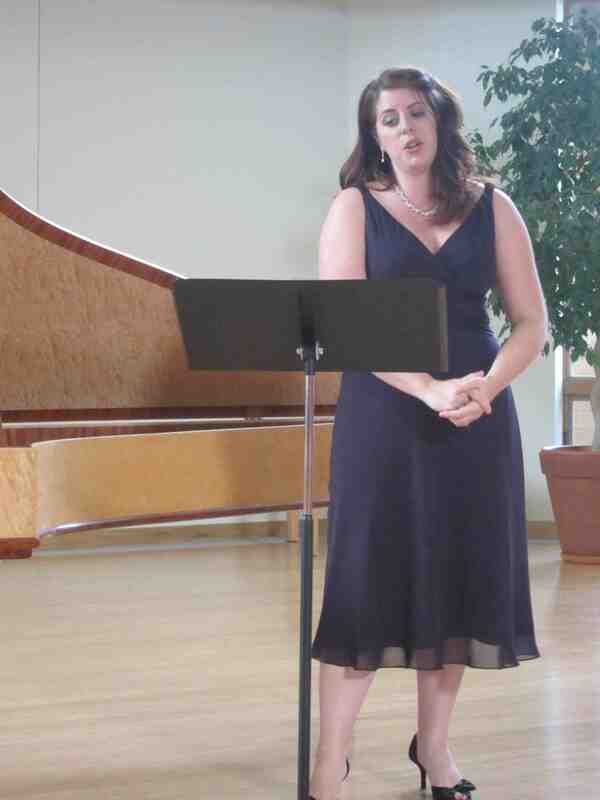 We are able to draw from many different types of operatic styles. From Mozart to Ravel, centuries of operatic composition will be presented in one fresh, stylistic show. 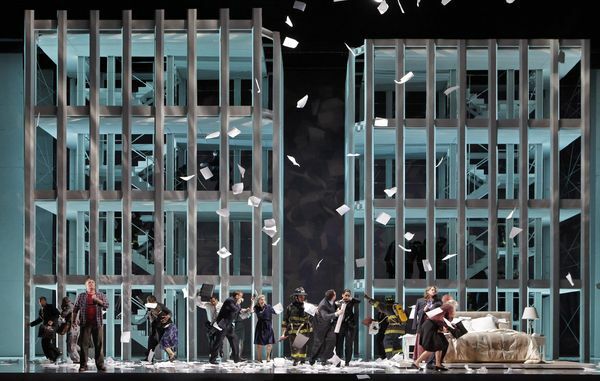 Presenting a show with this range of material allows the audience to experience many diverse operatic composers in one performance, which we believe makes for an educational and entertaining experience, for both the novice and seasoned opera patron. Our show theme makes it possible to use these different operatic genres in a manner to make a cohesive program, and indeed makes compositions that are in some cases written hundreds of years apart, work together. As for our future, our goal is to increase awareness and our audience through the productions we create. We have a catalog of rough drafts, musical selections and general ideas to draw from. After the “Big Top” production, we will analyze what may be a good “fit” to follow for our next show. The bottom line is that our goal is to have fun putting together shows that will not only entertain the audience, but also educate and engage them as well. Why do you think opera and the circus go together? We have chosen the Big Top (Side-Show) Theme for a variety of reasons. We choose themes that will be recognizable to an audience. Most people know what a Big Top setting involves, which makes our production immediately approachable to those unfamiliar with classical music. It also gives the traditional opera patron a different setting for hearing and seeing the music they love. There is a wide range of subject matter and emotional potential revolving around Big Top” characters (below, in photos by Max Wendt). They can be tragic, heroic and romantic, which are all traditional elements in opera. This allows Fresco to have a wide range of material to draw from. The elements of a Big Top show work well with many operatic arias, which, we feel, will create a grand presentation. When you think of traditional big top shows, they are, in a way, operatic. When you think of characters in the circus such as a “Bearded Lady,” there is a goldmine of emotional baggage that transfers to the operatic stage nicely. Also, the notion of having “Siamese Twins” singing a duet with one another, a half-man / half-woman sing a duet with himself/herself and a singing “Ringmaster” really works well. As for Fresco Opera Theatre, the inherent visual nature of the circus is a perfect match for what we want to do on stage. Our “Wheel Of Death” scene will no doubt be talked about for some time. 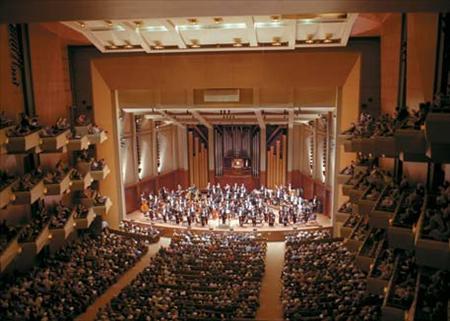 Can you tell us more about the performance at the Overture Center? We chose to use the Promenade Hall for this production, because it allows us to develop the space into a true “circus” feel. It is intimate, much like a traditional circus, and gives us the height requirements to do some of the things we need for “Big Top Opera.” The screen backdrop, which covers the entire wall, is a critical element for the visual component of our show. We also needed that space to allow the side-show performers we will also have between acts, as well as before the show begins. We are confident this will be a show unlike anything the Overture has done before. And besides all the visual aspects, we really will challenge the audience member’s senses with some of the most talented singers the Midwest has to offer. Fresco’s Big Top Opera features scenes re-staged as part of a three-ring circus. Circus Sideshows provide great themes for a scenes program. Overall operatic themes such as tragedy, comedy, romance, and heroism are well compared to these types of circus attractions. In addition, we will offer other aspects of circus-lore including a carnival midway in the lobby complete with cotton candy Cracker Jacks, face painting, fortune tellers, and the ever-present air of mystery audience members won’t soon forget. Was there an Aha! Moment when the idea of combining the two, opera and the circus, occurred to you? Our baritone, Jonathan Ten-Brink, sang an aria from “I Pagliacci” for Dueling Divas II. I knew right then that this aria had to be part of Fresco’s next production. Can you describe what the experience is like for the audiences and the performers? What should the audiences look for and listen to? We are pleased with how the musicians and performers have really invested themselves in our company. We all enjoy what we do, and that translates to the stage. As for the audience, while we are certainly visually explosive, the one thing we are most proud of is our level of audience participation. We will be bringing some of the audience members on stage for our in-between acts. Our audiences feel like they are a part of the production. They’re no longer spectators, they’re participants. Our patrons will not only love hearing operatic singing, but other art forms such as Cycropia Aerial Artists, a hula hoop artist, and an escape artist. The one thing that no one will soon forget is a soprano spinning on a Wheel of Death as she is belting out high notes. Fresco’s Big Top Opera will be both visually and musically stunning. Whether a person thinks they hate opera or is an opera enthusiast, we think “Fresco’s Big Top Opera” will offer them a new experience. Fresco Opera is extremely proud of this production, which while at times may seem to break from tradition, never forgets the tradition that gave us the love of this music in the first place. The season’s opening concert at the Wisconsin Union Theater this Friday night, Sept. 30, at 7:30 p.m. promises to be a MUST-HEAR event for all classical music fans, but especially for chamber music fans and particularly for string players. That’s because the concert will feature the Chamber Ensemble (below) of the famed, respected and prolific chamber orchestra The Academy of St. Martin in the Fields. They will perform Mendelssohn’s Octet, which The Ear considers to be Felix’s very best work. Also on the program are Brahms’ lovely String Sextet in G Major and Shostakovich’s Prelude and Scherzo. 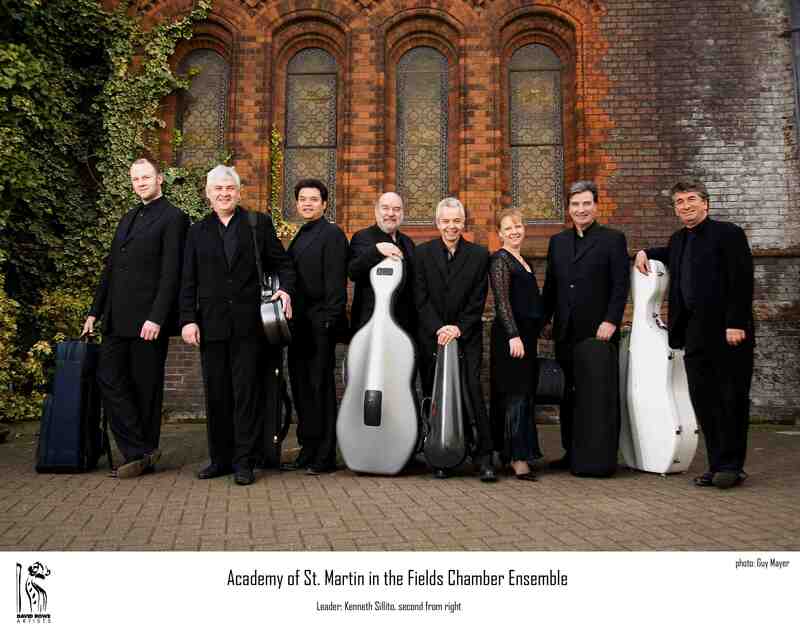 When and why was the Academy of Saint Martin in the Fields Chamber Ensemble created? What need does it fill? What is your relationship with the more famous chamber orchestra? The roots of the orchestra were originally performing baroque music with small forces. The chamber ensemble was created in 1967 to perform larger scale chamber works (from quintets to octets) with players who regularly perform together, rather than a string quartet plus guests. The members of the ensemble are principals with the chamber orchestra. With the octet this means we are the front desks of the string section. I am also a member of a string quartet that has joined with another quartet to perform this repertoire. With the Academy, I feel that there is a different approach to performing. There is no feeling of “us and them”! We are acutely aware to our own internal balance and personality as an octet. On a practical level, there is another obvious advantage to the ensemble is that we can perform in venues that are out of reach of the chamber orchestra. Can you give a capsule of history of the group with highlights including awards, recordings, mission, current and future projects including tours and records? Is this your fist visit to the Midwest and Madison? The Academy was formed in 1958 from a group of leading London musicians, and working without a conductor, the Academy gave its first performance in its namesake church on November 13, 1959. Today, the Academy performs some 100 concerts around the world each year, with as many as 15 tours each season. In 1993, the Academy became the first and only orchestra to be awarded the Queen’s Award for Export. 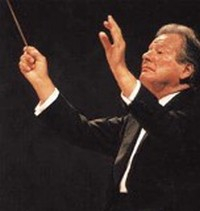 The Academy’s partnership with its founder Sir Neville Marriner (below) remains the most recorded pairing of orchestra and conductor and, with over 500 recordings under its belt, the Academy is one of the most recorded chamber orchestras in the world. Originally directed by Sir Neville from the leader’s chair, the collegiate spirit and flexibility of the original small, conductor-less ensemble remains an Academy hallmark. 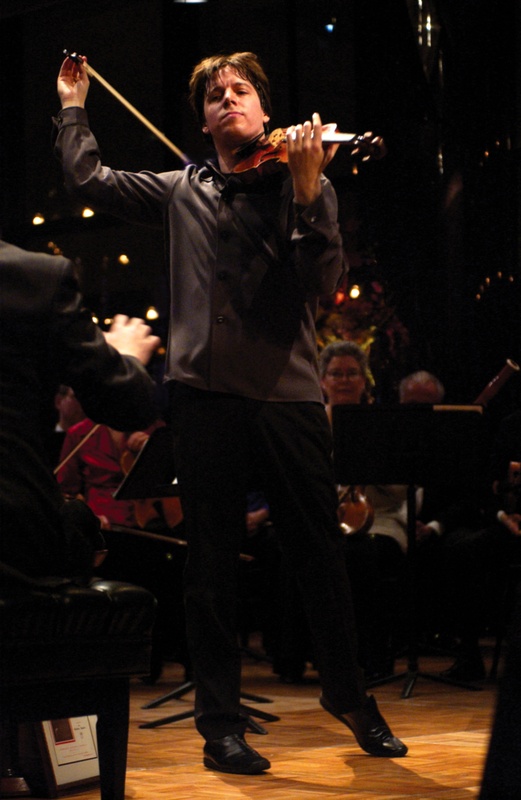 This tradition continues today with the appointment of virtuoso violinist Joshua Bell (below) as its new Music Director. We have been to the Midwest several times before and are really looking forward to appearing in Madison! We are so lucky to have the wonderful repertoire that we are to perform in Madison. 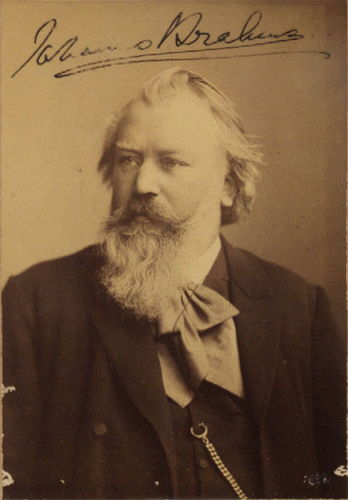 The sextet by Brahms (below) was partially an outpouring of emotion from a break up with one of Brahms’ great loves. The letters of her first name (Agathe) help form the motifs that play an important role throughout the piece. I love just letting the intensity of this music flow past me. The octet repertoire is obviously at the heart of the program. It is amazing that both these pieces were written by great composers who were only in their teens. Mendelssohn (below) was just 16 when he produced this phenomenon! It gives the feeling that, like Mozart, once he had commenced writing his pen did not stop until it was completed. It has all that both a performer and listener could ask for – wonderful themes and zest for life projected through creative part writing so that everyone has an important role to play. 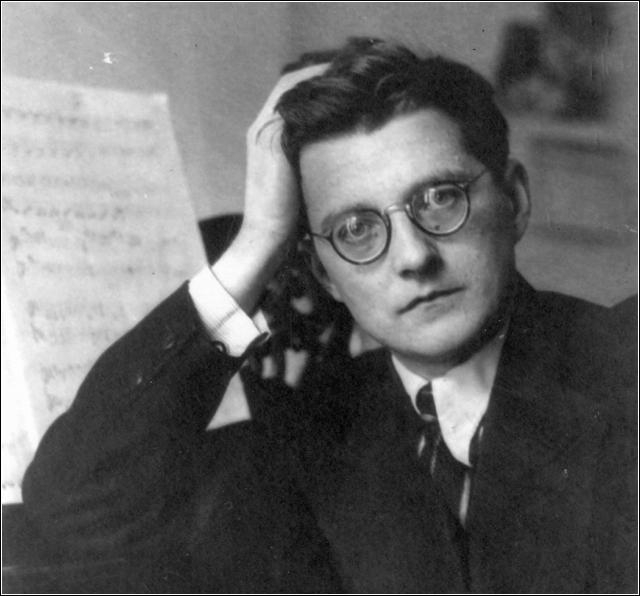 Shostakovich (below) was 19 when he completed these two pieces. They were not written consequently, the first (Prelude) was written as a memorial to a poet friend. Both passionate and angry, this music broods then overflows with the composer’s reaction to what has happened. The Scherzo is an extraordinary explosion of emotion! It is impossible but to be driven along by the insistence of the energy produced. Shostakovich shows his incredible talent for exploring new sound worlds! Classical music: The new opera “Heart of a Soldier” seems a major 9/11 masterpiece – or does it? When does commemorative music transcend the occasion it commemorates? It is a timely question on the 10th anniversary of the terrorist attacks of 9/11. Even more than works by John Adams and Steve Reich, composer Christopher Theofanidis’ new opera “Heart of a Solder” seems to have all the makings of a masterpiece about 9/11. It is based on the best-selling non-fiction book by James B. Stewart. It has a deeply appealing hero-protagonist. And it covers conflicts from Vietnam to 9/11. 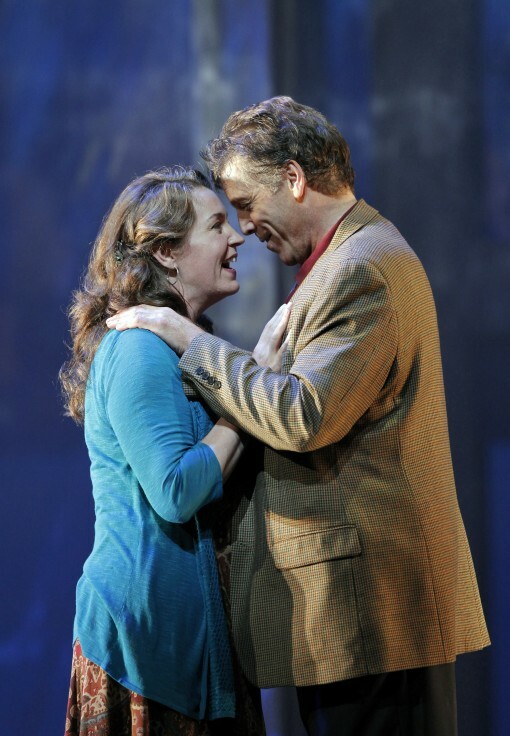 But then came the world premiere performances – with baritone Thomas Hampson (below) in the title role — in San Francisco, and the reviews that strike me as tepid and disappointing, or at least disappointed, for the most part. On the other hand, this wouldn’t be the first time a work that is initially panned turns out to have longer legs and more lasting value or staying power. Can you say Bach? Mozart? Beethoven? Mahler? Did you see or hear “Heart of a Soldier”? What do you think? Is it powerful, but flawed? A flop? Or is it a masterpiece sure to be restaged in the future? 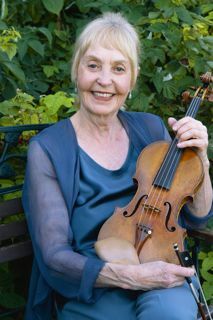 Classical music news: This week’s memorable milestones show that Madison knows how to pick great young talent. 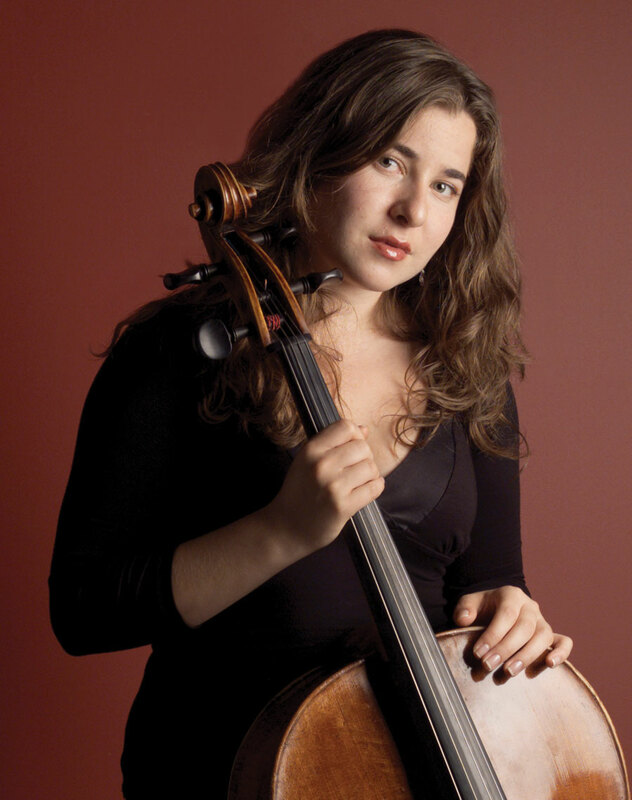 Cellist Alisa Weilerstein is a certified “genius.” Conductor Kurt Sandlering dies at 98. 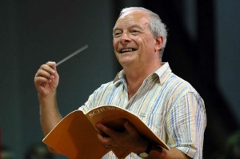 Early music pioneer Christopher Hogwood turns 70. BBC Proms set another record. The week brings some major milestones, especially for conductors and especially some good news for those who book classical music performers for Madison organizations. ITEM: First, it was Nobel prize candidate Daniel Barenboim making peace with Israelis and Palestinians through the West-East Divan Orchestra. 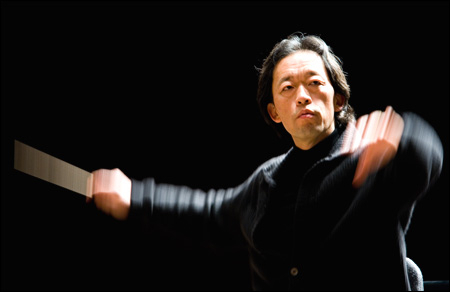 Can a joint symphony orchestra under conductor Myung-Whun Chung (below) bring North Korea and South Korea closer? 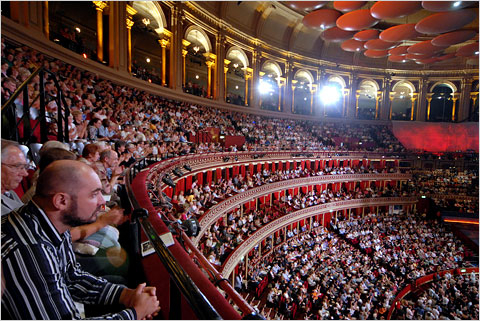 ITEM: The BBC Proms (below) concerts set another record for audiences. What is their secret to their success and can other presenters and groups replicate it or learn from it? 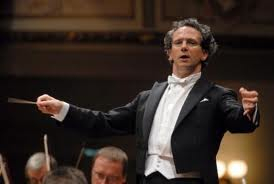 ITEM: Good news, bad news: Italian opera conductor Fabio Luisi (below) is chosen to replace the Metropolitan Opera’s ailing James Levine – but gets sued by Rome Opera. Classical music: Sunday afternoon brings a memorial for modern violinmaker William “Jack” Fry; an Opera Props gala benefit; and UW bassoon-piano duo on the radio. This Sunday afternoon sees several events that take place more or less simultaneously, though if you rushed around you could make it to all of them. It’s just another sign of how crowded the classical music calendar is getting in the Madison area. A memorial gathering will be held to honor William F. “Jack” Fry (1921-2011) and pay tribute to his lifetime’s achievement on this Sunday, Sept. 25, from 3 to 5 p.m. at the Token Creek Festival Barn, 4037 Hwy. 19, in DeForest, Wisconsin. Little did I know that a casual meeting with Jack Fry at Norman Paulu’s home in 1975 would evolve into a life-changing experience. Jack had stopped over to show Norman (the longtime first violinist of the UW’s Pro Arte String Quartet) some bows that he had made and the discussion later turned to a violin in Chicago with a big reputation. It was the “Sanctus Serafino” that I acquired later that year. It was also the beginning of a long association with Jack, and my awakening to the unknown about violins as I played his instruments for him and discussed his theories and hopes for rediscovering the structural mysteries of the great Italian instruments. 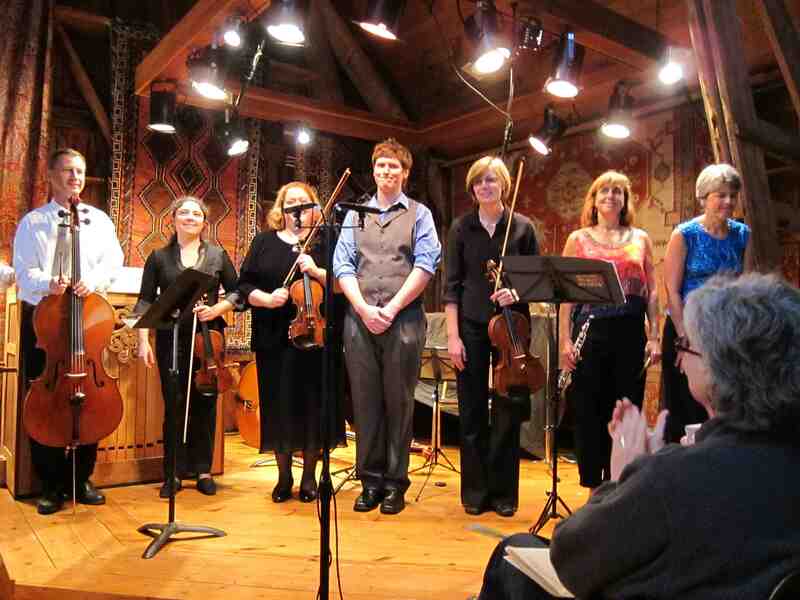 As the years progressed, the Token Creek Festival (below) presented Jack in forums and demonstrations, culminating in a concert in 2004 in which the ensemble played exclusively on Fry instruments (available on CD, TCR 111). Most prized among Jack’s many awards was his election to the Galileo Academy of the University of Padova, Italy, for his discoveries in violin acoustics. Jack leaves an amazing legacy as scientist, seeker of musical mystery, colleague and friend. It is hard to imagine a world without him. He did, indeed, find the truths he sought and there is great solace in that fact. Jack Fry (below) was born at the family farm on Scotch Ridge, south of Carlisle, Iowa. After completing his Ph.D. in 1951 he was commissioned a naval officer, supervising research on jamming devices for guided missiles. At the White Sands, New Mexico, rocket site he was in charge of researching German V-2 rockets. 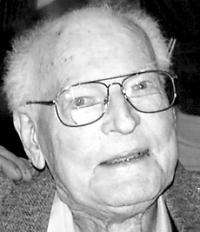 Professor of Physics at the University of Wisconsin, in high-energy physics, from 1952 to 1998, he later pioneered the astrophysics program. He also was an accomplished amateur watercolor painter and he collected fountain pens. An avid historian who collected Italian manuscripts from the 12th century through the Fascist period during his extensive travels in Italy, he donated more than 40,000 books and documents to the University of Wisconsin Library, the largest collection of Italian Fascist-era documents available to scholars worldwide. He spent more than four decades in violin acoustical research, in search of understanding the secrets of the fine Italian instruments. His accomplishments in violin research are recognized in books and film, and are detailed in a scientific video book he completed last year. This week’s “Sunday Afternoon Live from the Chazen” will present the Duo Ricercata (below) this Sunday from 12:30 to 2 p.m. in Brittingham Gallery III at the Chazen Museum of Art. The FREE concert will be broadcast live on Wisconsin Public Radio. University of Wisconsin-Madison students Theresa Koenig, bassoon, and Kirstin Ihde, piano, will present a program featuring works of the Baroque period and of today. 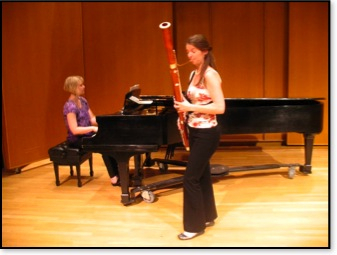 Both are currently doctoral students studying music performance at the UW-Madison. 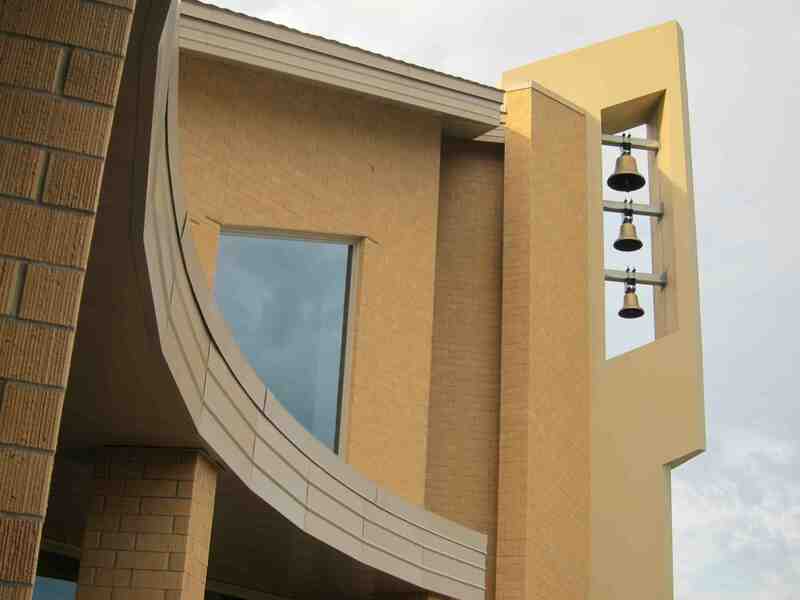 At 3 p.m., Opera Props, the support organization for University Opera, will hold its annual gala benefit, “Voices Over Lake Mendota,” this Sunday afternoon at the scenically located and beautifully designed Holy Wisdom Monastery at 4200 County Highway M in Middleton (below). 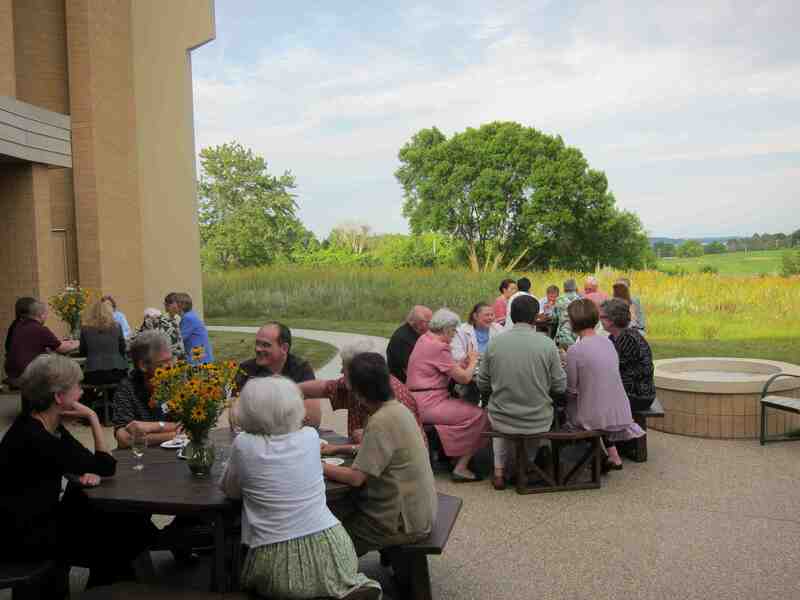 The suggested itinerary is 2:30-3 p.m. – early arrival to see the building and grounds, and meet University Opera staff and singers and fellow supporters; 3-4 p.m. – hear the concert; 4-5 p.m. – socialize and enjoy light refreshments of wine and cheese. 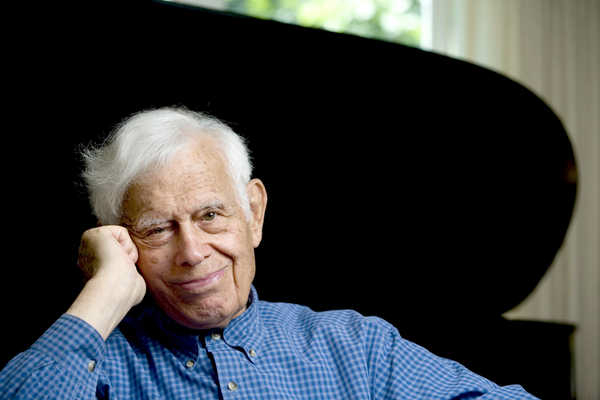 Classical music: At 96, pianist Frank Glazer returns to Farley’s this Friday night to perform an impressive program of Bach, Mozart, Beethoven, Chopin and Liszt. 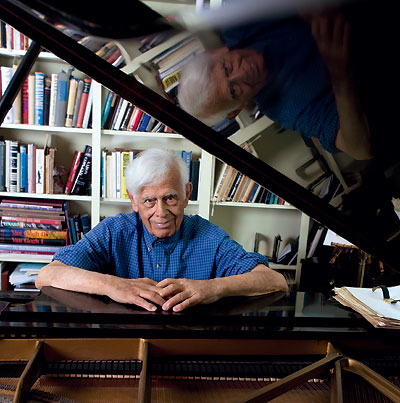 Pianist Frank Glazer (below) happens to be 96 years old. “But he is not just a 96-year-old pianist. He is a 96-year-old-pianist who plays really well,” says Renee Farley, who has heard her share of pianists, old and young. A piano professor at the University of Wisconsin School of music hasn’t heard Glazer lately, but he also says Glazer was an impressive pianist for many years in both live performances and recordings. You can decide for yourself if he still has the touch. This Friday night, Sept. 23, at 7:30 p.m. Farley’s House of Pianos – at 6522 Seybold Road on Madison’s far west side near West Towne — will host a recital by Glazer. This is the second year in a row Glazer will perform at Farley’s on his way to Milwaukee, where he will perform the same program the next day. Glazer’s impressively long and difficult program includes Bach’s Toccata in D Major; Mozart’s Rondo in A Minor, K. 511; Beethoven’s Sonata No. 32 in C Minor, Op. 111; Chopin’s “Trois Nouvelles Etudes” and “Polonaise-Fantaisie,” Op. 61; and Liszt’s “Au lac de Wallenstadt,” “Petrarch Sonnet No. 104” and Hungarian Rhapsody No. 12. Tickets are $30 for adults, $25 for students and seniors. Tickets can be reserved with a credit card by calling (608) 271-2626, or can be purchased at Farley’s House of Pianos or Orange Tree Imports on Monroe Street. As a concert pianist, Glazer — a Wisconsin native who once had his own TV show in Milwaukee — studied ways to reinvent piano technique, beginning with a study of anatomy and analyzing the most efficient way to create sound. He credits this study with his ability to play successfully into his 90s. 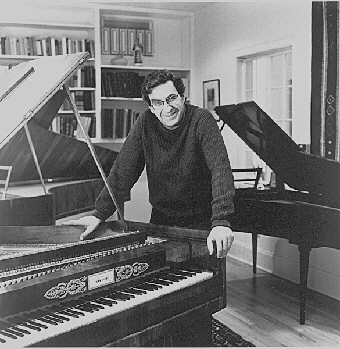 Glazer taught at the Eastman School of Music from 1965 to 1980. In 1980, he left Eastman and became artist-in-residence at Bates College in Maine. For his many distinguished performances of varied repertoire, Glazer was awarded the Paderewski Piano Medal in London, given annually to an “Artist of Superlative Degree.” Among other distinctions, he has performed the complete cycle of Beethoven’s 32 piano sonatas. In his teenage years, Glazer played in vaudeville. Alfred Strelsin, a New York signage manufacturer and arts patron, provided the funds for him to travel to Berlin in 1932 to study with the famed Artur Schnabel; he also studied with Arnold Schoenberg. 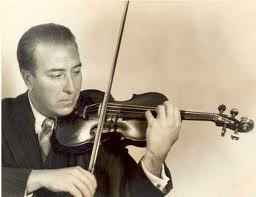 In 1939, Glazer performed with the Boston Symphony Orchestra under Serge Koussevitzky. Classical music Q&A: Fortepianist Malcolm Bilson says keyboard players still lag far behind orchestral groups in promoting early music, period instruments and historical performance practices. Hear his upcoming FREE recital Sunday night of Haydn, Mozart and Beethoven sonatas at the University of Wisconsin-Madison. As the early music movement gained momentum and acceptance from the 1970s through today, it has moved from the harpsichord to the fortepiano to turn-of-the century pianos; from soloists to ensembles; and from the Baroque era to the Classical era and beyond. Keyboard artist Malcolm Bilson was always in the forefront of the push for historically informed performances with modern instruments and for the use of period instruments. 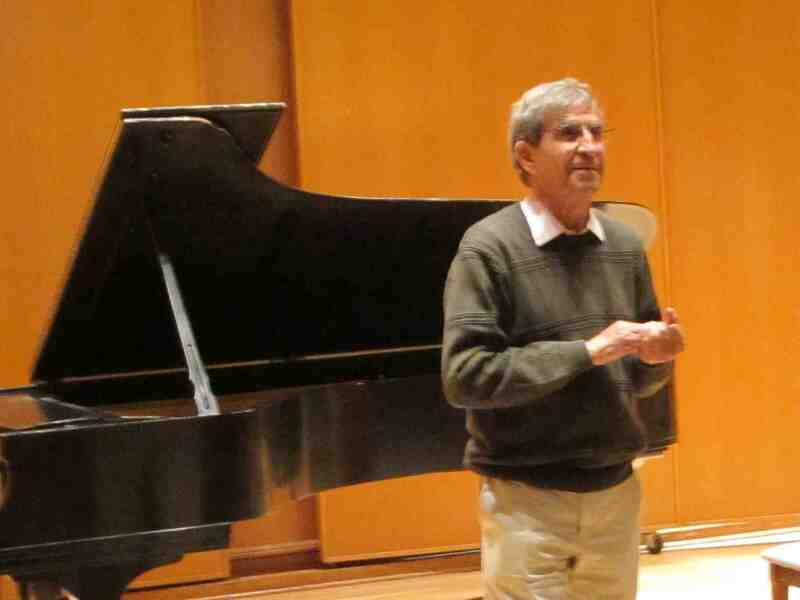 An iconic figure who teaches at Cornell University (one of his students was Trevor Stephenson, the director of the Madison Bach Musicians) and a prolific recording artist, Malcolm Bilson will be in Madison for a residency from Sunday through Tuesday. ALL EVENTS ARE FREE and OPEN TO THE PUBLIC. First, Bilson will perform a free recital of sonatas by Haydn, Mozart and Beethoven this Sunday, Sept. 25, at 7:30 p.m. in Mills Hall. His appearance is part of the University of Wisconsin School of Music’s Guest Artist Series. Then on Monday, Sept. 26 at 3:30 p.m. in Morphy Hall, Bilson will hold a piano master class. At 7 p.m. the same day in Morphy Hall Bilson will lecture on “Do We Know How to Read Urtexts Properly and What, If Anything, Do Instruments Have to do With It?” Malcolm says the lecture is the subject of his old DVD “Knowing the Score”, but almost all the examples are new and there is much more specific detail. He will have everything on Power Point, including sound examples. On Tuesday, Sept. 27, at 7 p.m. in Morphy Hall, Bilson will hold a master class for chamber ensembles and vocal/piano duos. What is the overall status of fortepiano studies right now compared to how they started? 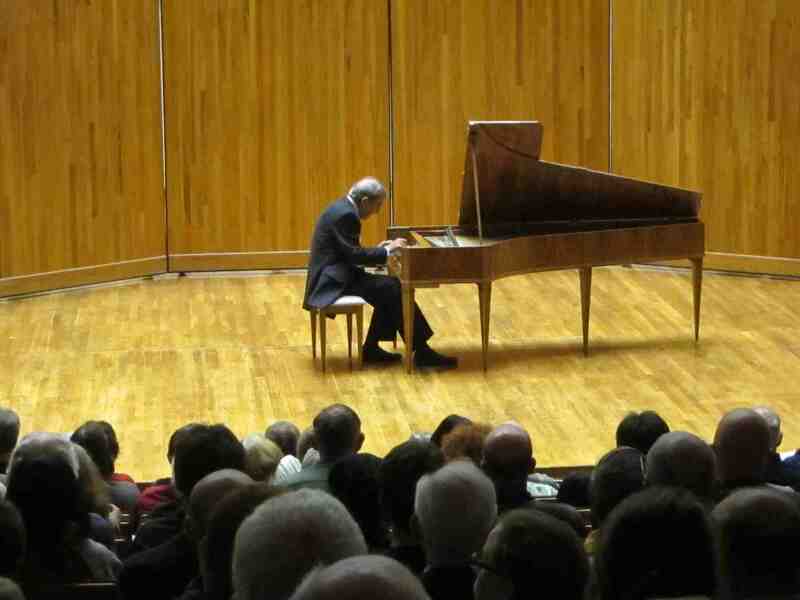 Is the fortepiano secure as a mainstream vehicle for performing and recording? I don’t know how “secure” it is, nor how mainstream. The truth is that the real road towards “mainstream” has not been in the piano world, but rather with the orchestras. By 2000, virtually all the important repertoire from Bach to Brahms had been investigated, performed and recorded (much of it many times over) by the so-called period instrument orchestras, revealing so much of those repertoires that had been hidden for well over a century. And in the last decade or so mainstream orchestras such as the Vienna and Berlin Philharmonics, under conductors like Simon Rattle or Roger Norrington have changed their styles drastically in performing works from the late 18th and early 19th centuries. If today you want to buy a recording of the complete Beethoven symphonies, you will find about 60% on modern orchestras, 40% period orchestras. If you want to buy Beethoven piano sonatas, on the other hand, is 1% period pianos too high? Beethoven changed his style quite radically as the different pianos appeared during his lifetime, both the Viennese and English types of which he knew the best examples of the day. Yet all of those pianos are very far away in aesthetic concept from the 1870 Steinway-type still being built today. What are the special qualities that the fortepiano brings to such “mainstream” Classical repertoire as Haydn, Mozart, Beethoven and Schubert? What should listeners listen for? The main expressive markings provided by all these composers are the ubiquitous slurs, these marks that tell us how to inflect the music. All sources of the time tell us that it is the length of the notes that defines the expression, color and dynamic being important as well, to be sure, but in a secondary place. The music of these composers was a “speaking” music, the music of the later 19th century changed into one of long singing lines, and that is the way Mozart and Beethoven are still mostly played today. These are basically different aesthetics, each beautiful and expressive in its own way. Instruments are of course “tools” — that is what the word means — but they were always designed in conjunction with the music being written. 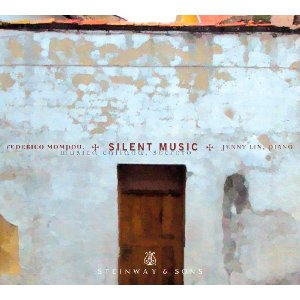 The greatest pianos Mozart and Beethoven knew have never been surpassed for their ability to make small inflections between the notes – on Steinway-types such playing would sound choppy and insensitive, so is generally avoided in favor of smooth, connected lines. I will be talking about all this in a lecture-demonstration Monday evening. How did you arrive at specializing in the fortepiano? Did you come to it from the piano or harpsichord? Was there an Aha! 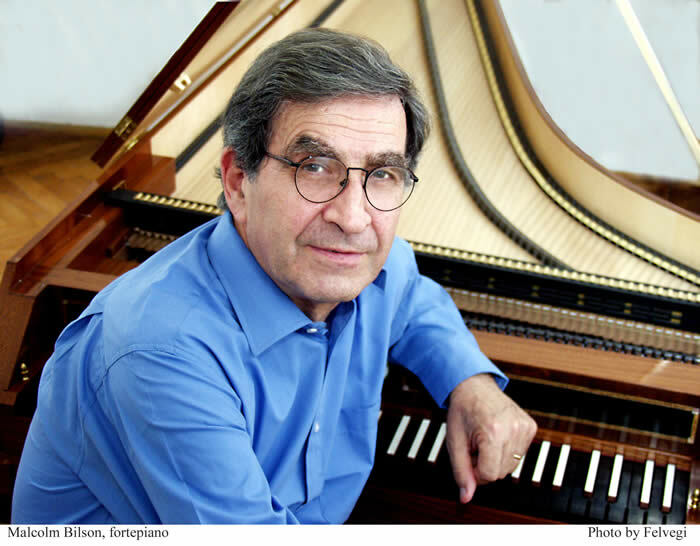 Moment – perhaps a performer or a piece of music — when you knew you wanted to devote yourself to the fortepiano? I don’t even like the word fortepiano. Fortunately, we now have wonderful pianos (replicas and originals) from all the important periods of piano building – Walter, Stein, Graf, Broadwood, Erard, Pleyel, etc. I like to think of myself and many of us who do “this thing” as pianists who play many types of pianos, as opposed to those who play a single type. Would you like readers to know the instrument you will perform on? Would you like to comment on your program here and how or why you chose it? The first half of the program will have the Haydn Sonata in E Minor, Mozart’s Variations on “Ah, vous dirai-je Maman” (Twinkle, Twinkle Little Star, in the English version) and Mozart’s Sonata in F Major, K. 332. The second half of the program is devoted to Beethoven – the Sonata in D Minor “Tempest,” Op. 31, No. 2, and the Sonata in E-Flat Major, Opus 31, No. 3. These will be presented in a manner quite different from what is usually heard today, in part because of the different musical possibilities on such a piano, in part due to a somewhat different musical approach to Beethoven’s music. I will speak to the audience about this before playing the works. What are your current and upcoming projects in terms of performances and recordings of solo works, chamber music and concertos? I will be 76 next month, still in pretty good shape (with a creak here or there); I don’t have any recording projects in view at the moment. 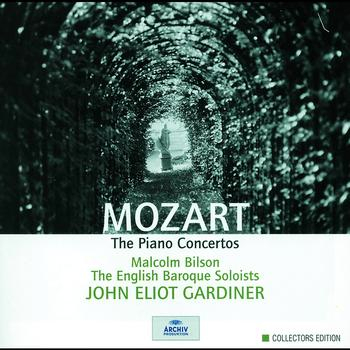 I was incredibly lucky to record all the Mozart Piano Concertos with John Eliot Gardiner (below) back in the 1980s (a wonderful voyage of discovery for all of us! 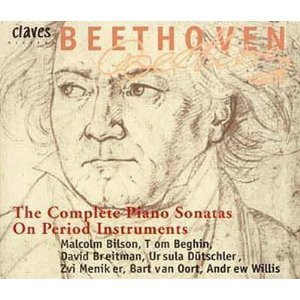 ); then in the 1990s with six former students and colleagues I participated in a complete recording of the 35 Beethoven sonatas (including the 3 early Boon sonatas) on nine different period pianos. I have also recorded all the Mozart and Schubert solo sonatas on Hungaroton, and with some wonderful chamber music collaborations I feel that’s enough. There are plenty of CDs out there already, and it’s time for the next generation to pick up the ball and run with it. My main “project,” therefore, at this period in my life is going around to music schools like the University of Wisconsin to talk to the young people. There is so much about this repertoire that is still waiting to be discovered through the instruments for which it was written; we’re only at the beginning.